Beautiful family home, located in the excellent family community of Evergreen! 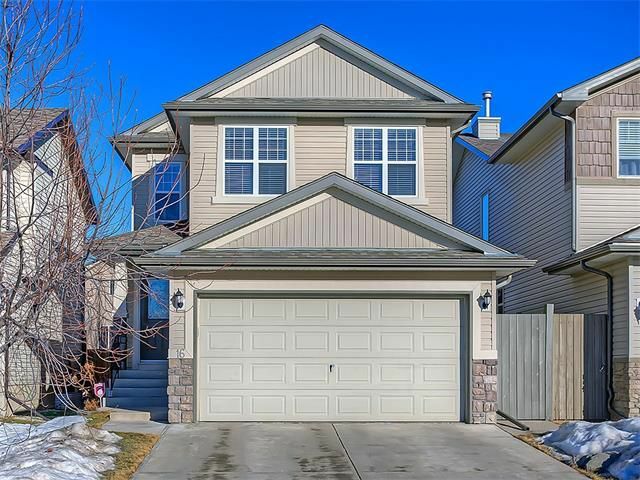 Warm & inviting, maple hardwood floors flow through an open-concept layout perfect for gathering, with a living area centering on a gas fireplace and kept bright by large windows looking out to the fully fenced yard & oversized patio. The kitchen features new gorgeous lighting, sleek stainless steel appliances, a functional island and a large pantry, while the adjacent dining area opens out via glass patio doors to a deck, perfect for al-fresco dining in warmer weather while the kids play! Of the four generous bedrooms, the master is bright & large, with a walk-in closet & relaxing ensuite, complete with a standing shower and a soaker tub. Truly a fantastic home with everything you could possibly need and want, in a perfect location! Call to arrange your exclusive viewing & see yourself living here today!